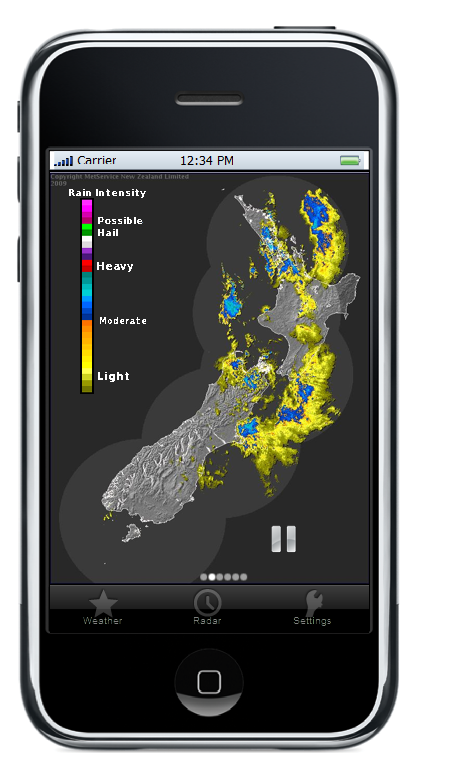 I've released a web application that I have created using the data from New Zealand's metservices web site. The application is a pure web app, but acts like a native one. Works with both the iphone and itouch. p.s. some sample screens below. 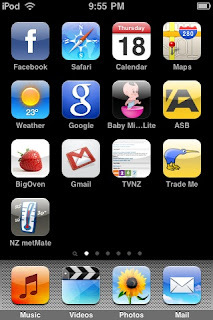 A number of people ask us how to add a link to the NZ metMate on their iPhone/iTouch home screen. Thankfully, it’s pretty easy to do! Here are some step-by-step instructions. 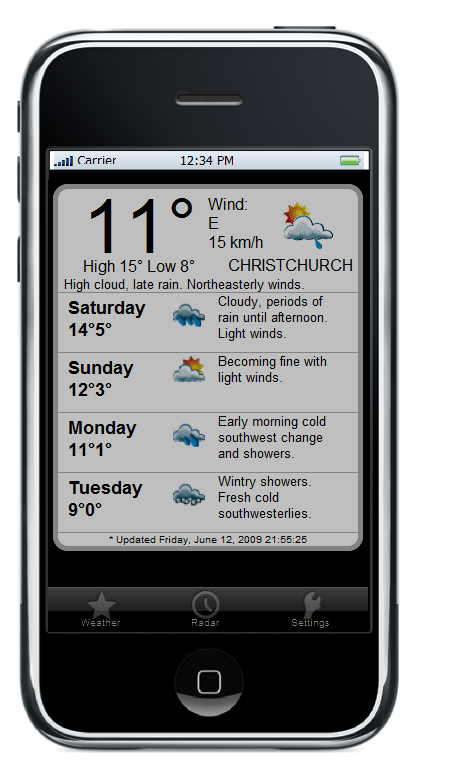 Open Safari and browse to nzmetmate.coomsie.com on your iPhone/iTouch. Tap the “+” icon located at the bottom of the screen once you’ve reached the nz metMate homepage . Change the name that will appear under the icon on your home screen if you want to. Access nzmetmate by tapping this icon. Please please please can you do the same thing for android??? All other weather apps are horrible at getting our temp and weather right.